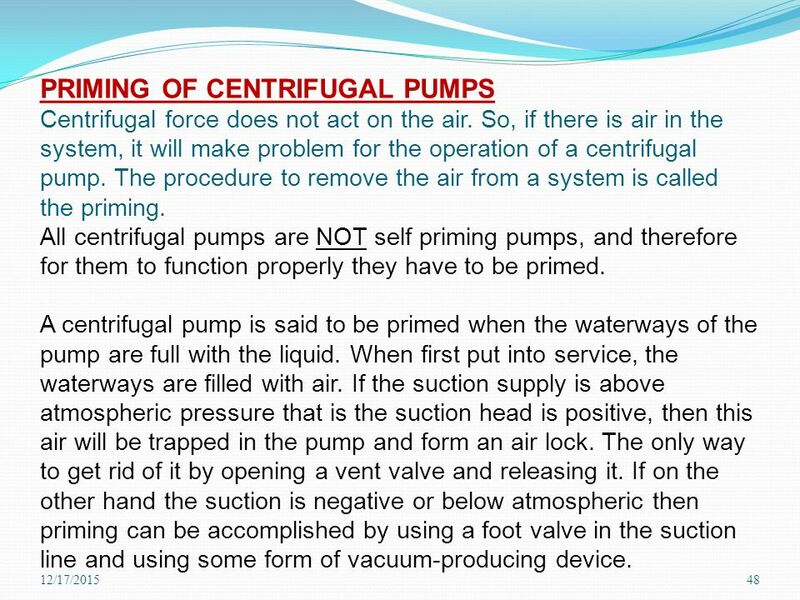 A centrifugal pump with a priming reservoir chamber without flooded suction. To properly prime this pump, the priming reservoir, placed in front of the pump, should be filled before each use. For the 750 priming chamber, the pump should be no more than 10 feet away the source of the liquid. FLOMAX � 8 self-priming centrifugal pumps are capable of creating vacuum sufficient to lift liquids from heights up to 25 feet above the source. Once primed, the pump�s built in flapper valve will maintain a full column of liquid in the suction line.